Don’t be afraid! Halloween event marketing is simple with the Haunted House Flyer 001. Dreadfully easy to customize to your needs, this devilish design sports a spooky mansion mobbed by bats along with horror-show-inspired typeface. Printed on demand in black and white, you can expect your order on its way in three business days or fewer. Measures approx. 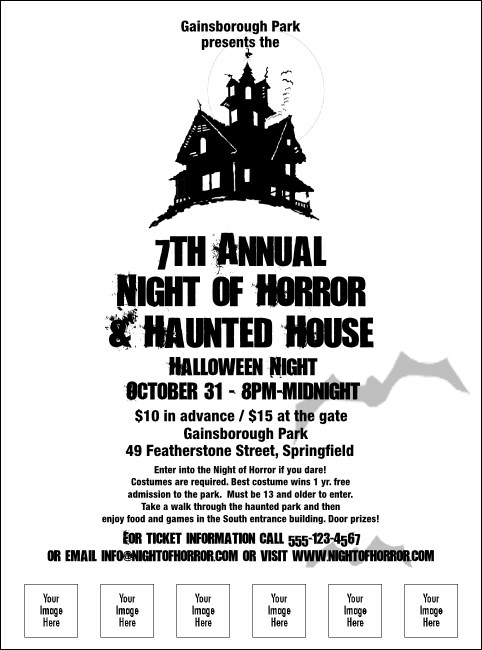 8.49" x 11.46"
Publicize your Halloween bash with promotional flyers from TicketPrinting.com.